I love a bold accessory. I love when the “trimmings” of an outfit actually are the anchor of one. But what I really enjoy is when an accessory is bold without being loud. There is something to be said for the bag that is noticed, but is subtle in its strength. 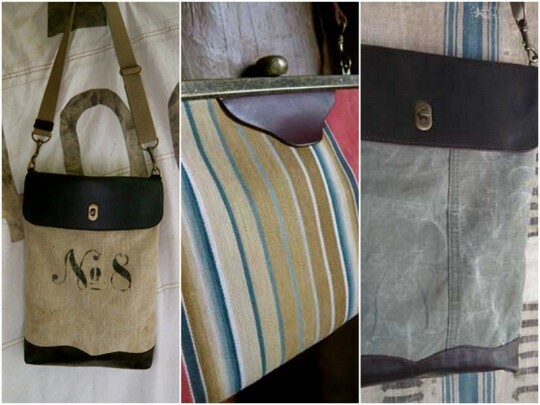 I discovered Tamara Fogle’s bags on Pinterest and was immediately smitten with their antique textiles and modern twist. Give me interest, I always say. 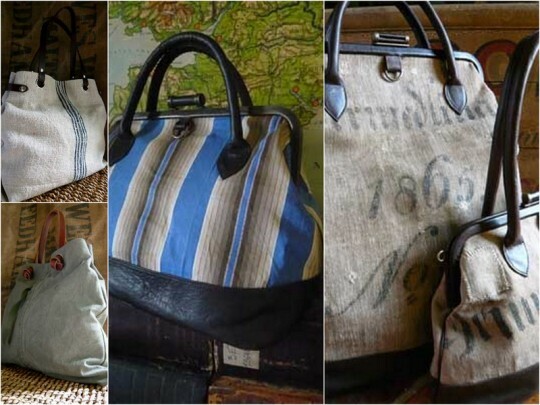 The bags are made from German flour sacks, French mattress tickings, Hungarian grain sacks and some from military tents. I love that her leathers are treated to still see the natural character of the hide.